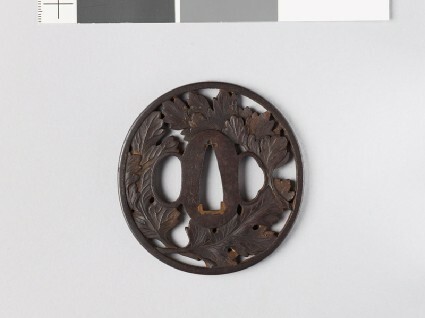 Modelled in openwork as three chrysanthemum leaves within narrow border. Evidently a relative (son?) or pupil of Gotō Tsunemasa, but not recorded by any authority known to me.